Divisoria is the ultimate bagsakan (dumping ground, in the good way) here in Metro Manila. Here you can find all the variety of fruits you want, clothes from all over the world, cloth to make your own clothes or at the numerous seamstress or tailors beside it, and even the best assortment of knick knacks you want. And the prices, it’s the best with the cheapest rates all over. Of course, you have to brave the traffic (2 hours to get home!) and the crowd to be able to even buy something. But hey, what’s a few pushes and bumps when you can save hundreds? So we were there last weekend and going around everywhere for ate’s wedding preparations. While walking with my cousin and aunts, we passed by a street identified by it’s distinct smell. I didn’t even know that there is one area (or one street) in Divisoria dedicated to selling dried fish. For the 4 times I have gone there, I have only seen this road this time. And if I wasn’t rushing through it, I would be taking my time to go ask around about everything. But as we were, a few photos were enough to keep me at bay. 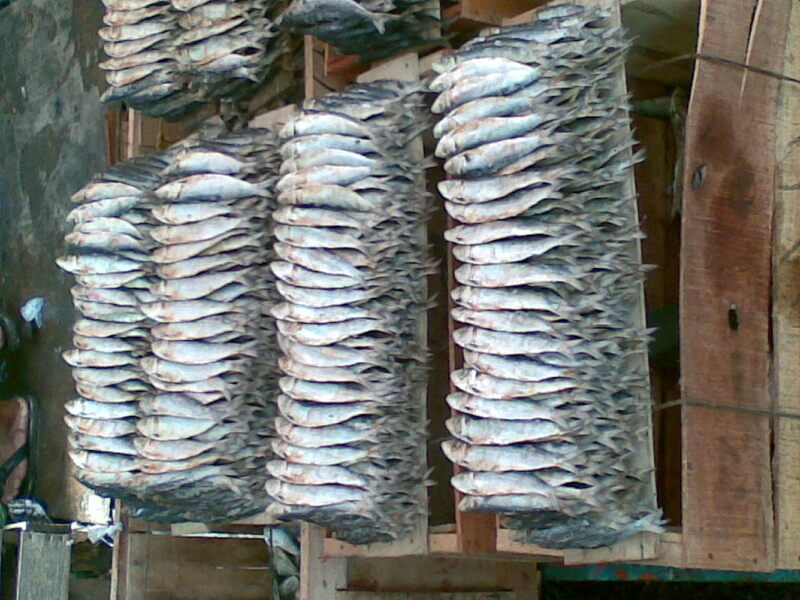 Dried fish is one of the most common food item in a Filipino household. It ranks along side sinigang and adobo, and knows no class boundaries. Everybody enjoys the scrumptious and tasty meal, which happily too is easy on the pocket. Perhaps the island set up of the country paired with the usually searing hot climate was the perfect opportunity for this. With the given knowledge of salting as preservation, this added the perfect touch and we now have food to last us for a long time. Looking up the preperation method, I’m guessing that somewhere somehow, someone cleaned the freshly caught fish from the sea, washed it in the same sea water before drying, and “invented” the salted fish! But of course, that’s all speculation. Dried fish in the Philippines come in different forms, the tuyo is the most basic but it still comes in different kinds like salinas, lapad, etc. It’s a usually small fish 4 inches long. Then almost like tuyo is it’s smoked version of tinapa. Tinapa (to make into tapa) for fish is equivalent to smoked though the word tapa (not the spanish version, but kind of, the Filipino version?) for meat, is usually a marinated or seasoned in salt and a bit of sugar, no smoking necessary. Tinapa can range from the 4 inch tuyo sizes to the big bangus. 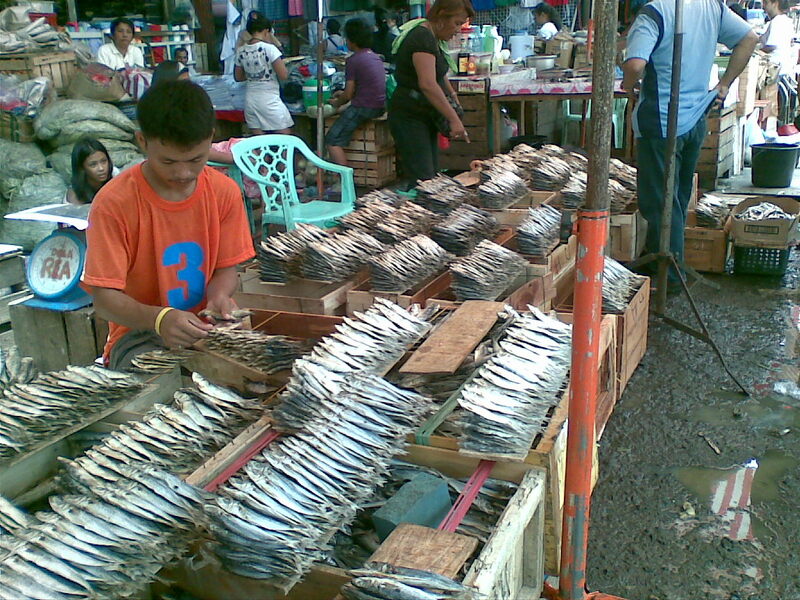 Then we have just the fish we call by their proper names but just in dried version: labahita, danggit, biya, dilis, etc. And these are the ones I’m only familiar with. There are still tons! We still have the dried shrimp, squid, etc! I get my days when I am just craving for the dried fish. Just a simple meal of the dried fish, with rice, with the sawsawan (dipping sauce) of tomatoes with a bit of fish sauce. Or maybe tomatoes with a bit of salted duck egg. Yum. 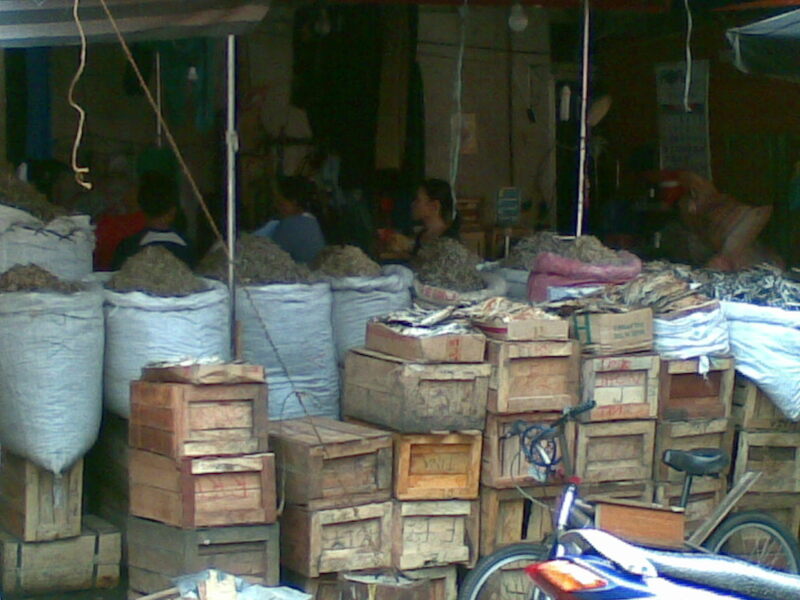 Im Jecer dried fish supplier in here cebu (bantayan island). magkano mga prices sa inyo,,, pwedi pa send ng prices sa dealer po. Hi! May I know what street ung may dried fish? Tumawid pa ba kayo ng riles nun? Magkano wholesale prices ng tuyo at dilis na pangtinda? Ilan ang minimum quantity to order?